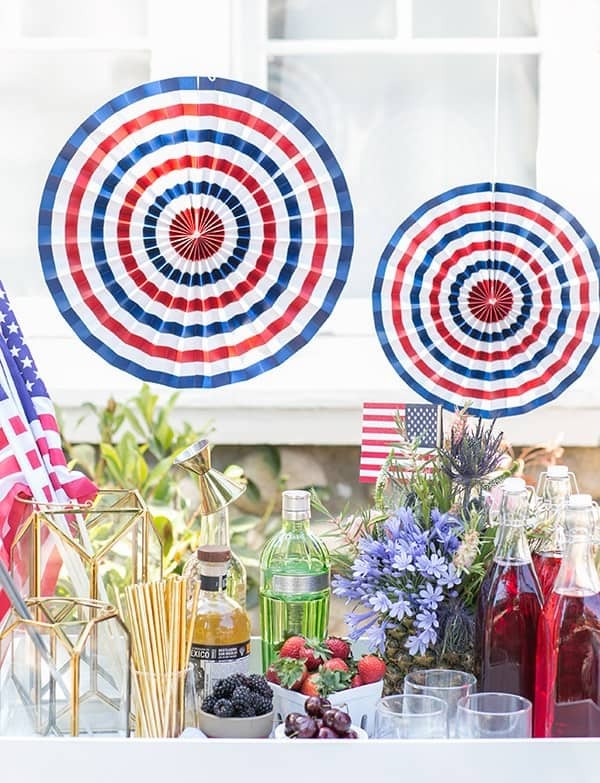 To keep the adult guests cool at our 4th of July party this year, we’re creating a fun, boozy snow cone station! It’s a little nostalgic twist on the classic snow cones we all loved growing up. 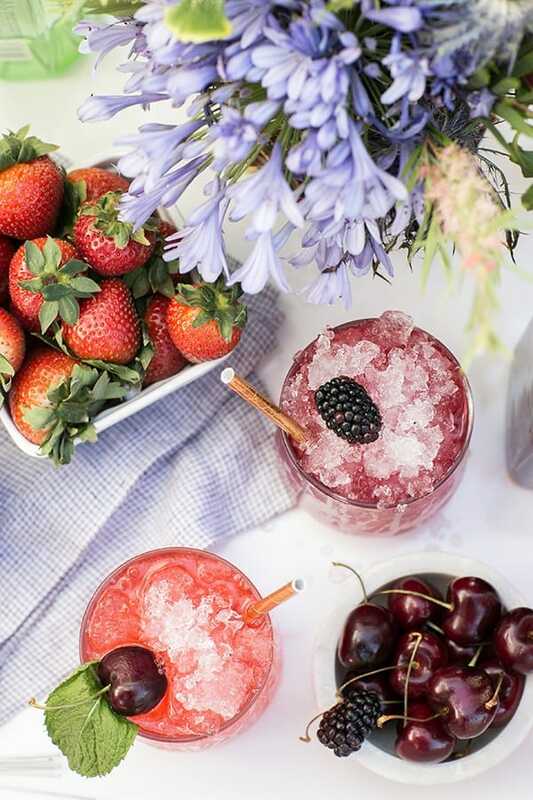 Plus, what better holiday than the 4th of July to surprise your guests with a cold, frozen cocktail treat? 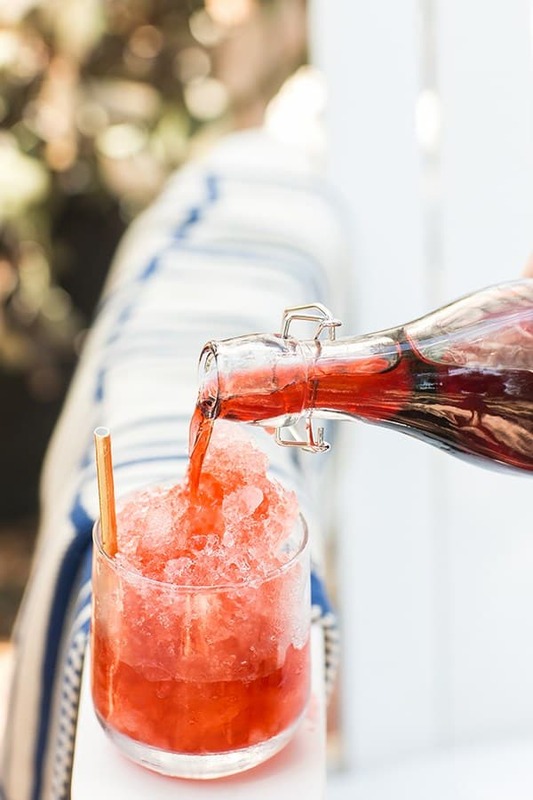 Your friends will be giddy making their own boozy snow cones! For the snow cone ice, I called my local ice shop (yes, these exist!) and had them make four 40 pound bags of shaved ice. You’ll need to have a large freezer to keep all of that ice or an extra one outside. Also, a little tip… pick the ice up the day you’re going to use it. That way it won’t melt and then freeze into a huge ice cube! 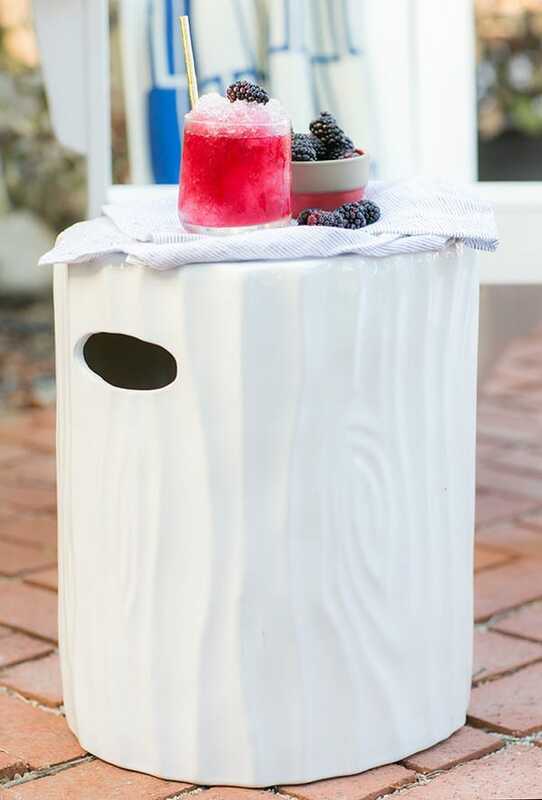 You’ll want shaved ice for your snow cones and if you pick it up the same day, you can use a disposable cooler to store some in as well. We used a large bucket and filled it with snow cone ice and an ice cream scooper to scoop it out. For the syrups, we had fresh blueberry, cherry and strawberry flavors. 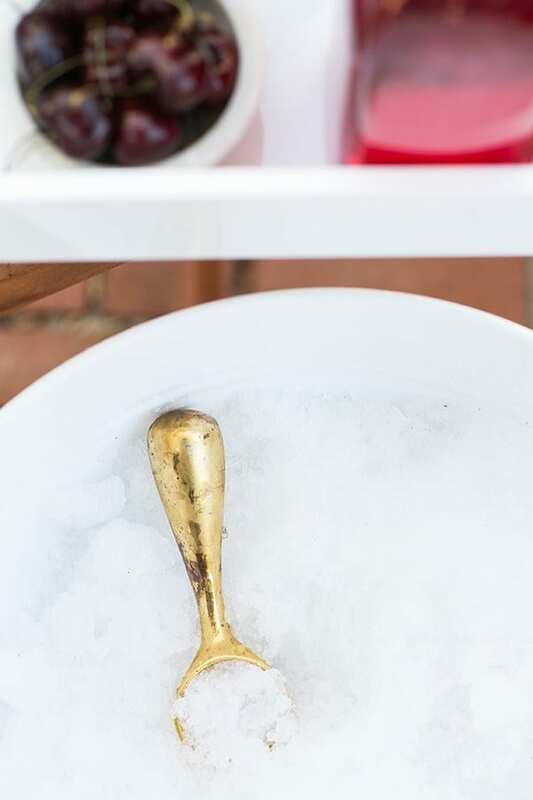 You can make your own or buy snow cone syrups to save time. We also placed out 3 different spirits to choose from and of course some glasses to make them in! Boozy snow cones are super easy to make! A few scoops of snow cone ice, some syrup and your favorite spirit! 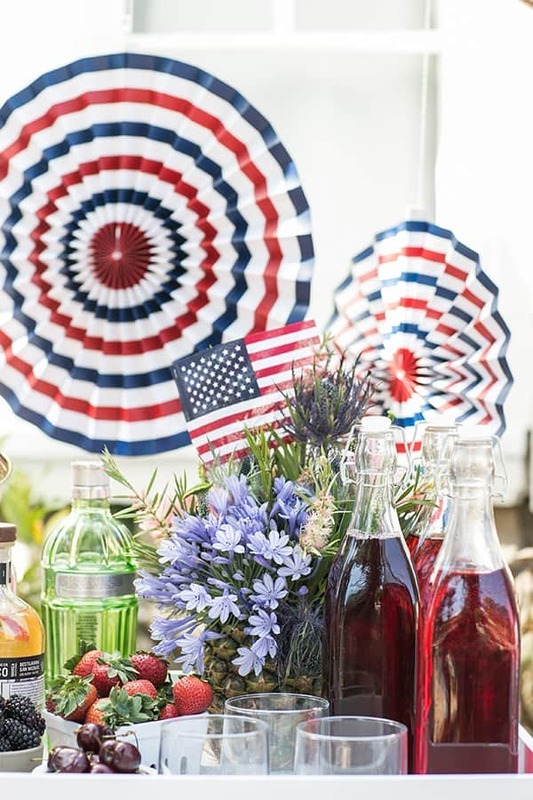 Garnish with some fresh fruit and then sit back and enjoy the fireworks! Shop this look: bucket, glasses, white ceramic stool, adirondack chair, flags, gold lanterns, gold ice cream scooper. 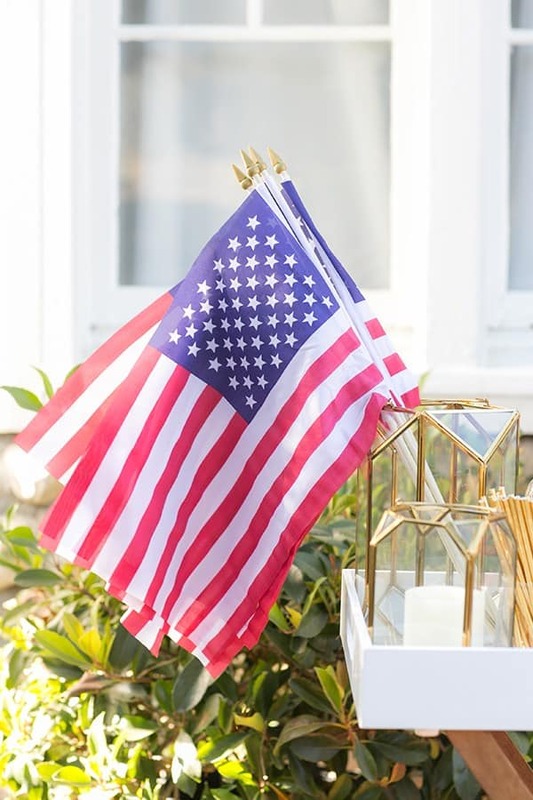 Shop this look: 4th of July bucket, low ball glasses, white ceramic stool, adirondack chair, gold lantern (small, large), gold ice cream scooper. 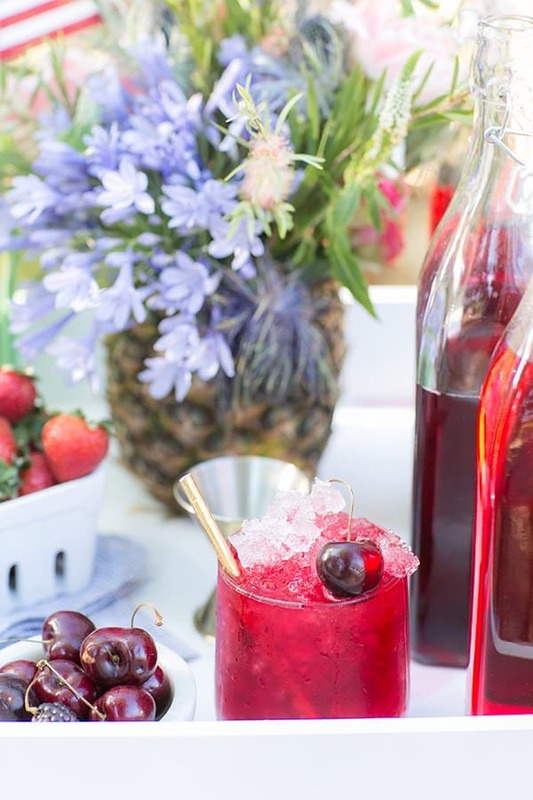 3 responses to Cool Down with a Boozy 4th of July Snow Cone Bar! What a cute idea! These drinks look awesome! Thank you so much!! Cheers! !